Bicycles are welcome on the MyCiTi system and can be carried free of charge, as long as they are stored safely and securely and do not cause inconvenience to other passengers. All bicycles must be kept in the space designated for them on the bus, next to the wheelchair area. If there isn't enough space in this area, you will need to wait for another bus. 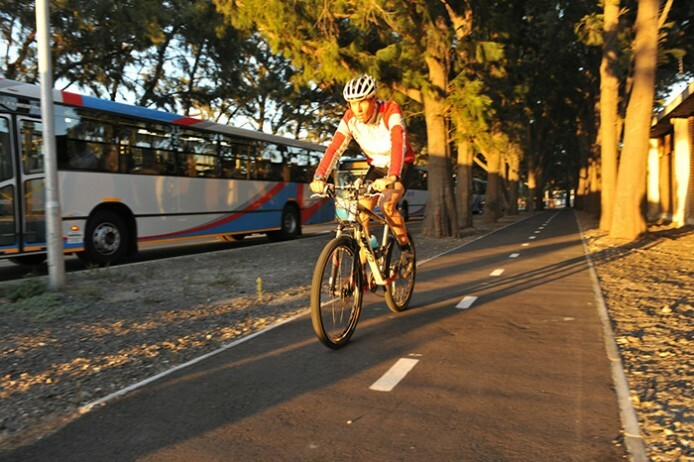 Another major part of the MyCiTi system is a network of cycling paths and upgraded pedestrian walkways connecting to the bus routes. Many cyclists and pedestrians are using the special non-motorised transport lane from Table View to Cape Town city centre.